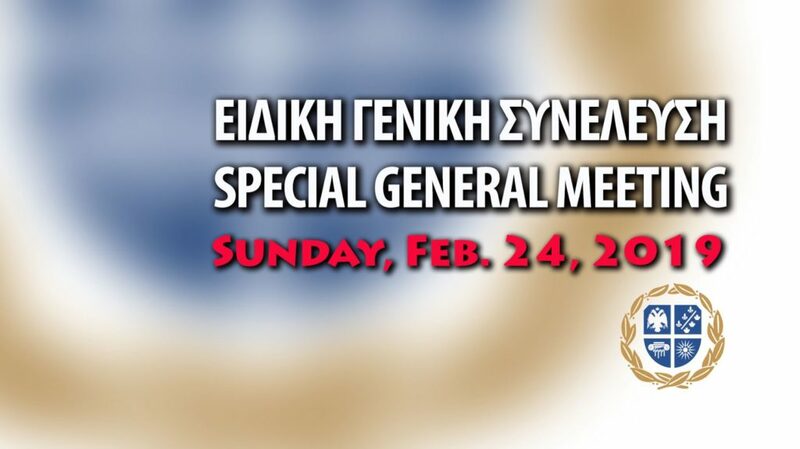 You are requested to attend the following Special Community General Meeting on Sunday, February 24, 2019, 3:00 p.m. at the Hellenic Community Centre “Adrian Maris”, 5757 avenue Wilderton, Montreal. NOTICE: The active members (those who have fulfilled their current membership obligations) have the right to vote. Membership fees in arrears must be paid at the entrance. 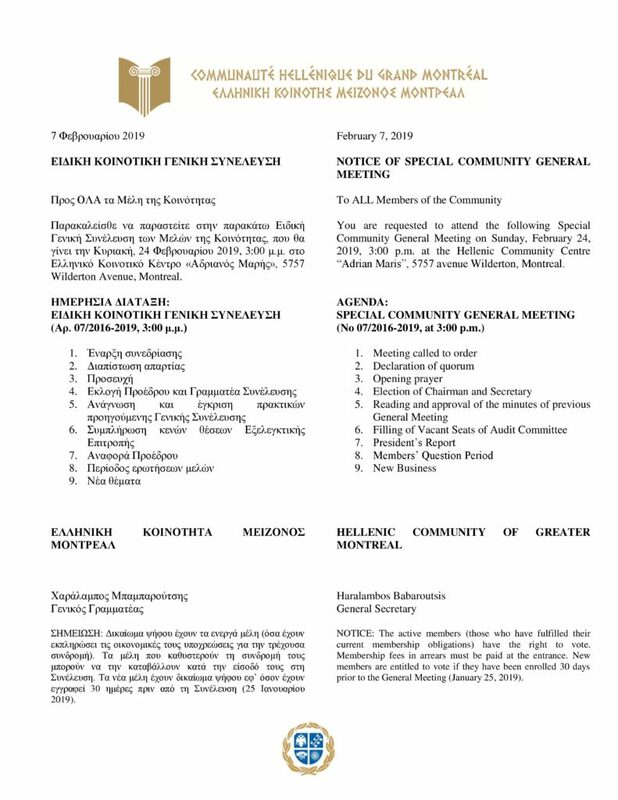 New members are entitled to vote if they have been enrolled 30 days prior to the General Meeting (January 25, 2019).